Over 27 miles of trails to enjoy! Trail enhancements are almost complete! Gulf State Park’s trail network has been expanded to include over 27 miles of accessible trails. These additions make it possible for everyone to experience new parts of the park safely and comfortably. These new trails create key loops, so families can park their car and explore the park’s nine distinct ecosystems by bike or foot. The newest additions to the trail network are the Lake Crossing Trail and Beach Mouse Bypass, two elevated boardwalks that offer stunning views of wetlands and wildlife. This summer, construction will begin on two pedestrian bridges across East Beach Boulevard. 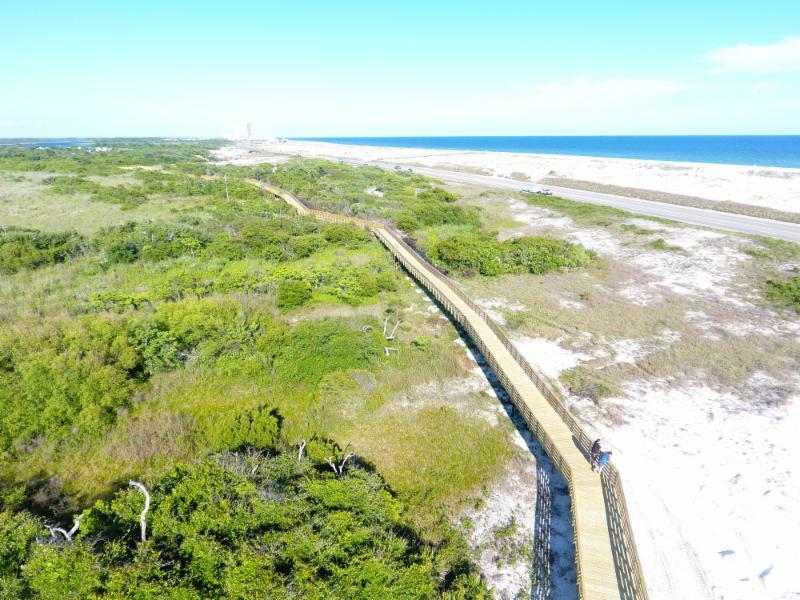 These bridges are the final links in new trails that will connect the beach and forest sides of the park. New trailheads and wayfinding signage along with interpretive signage and pause places will also be installed this summer. This final phase of planned trail enhancements will be complete in early 2018. For an updated trail map, click here.